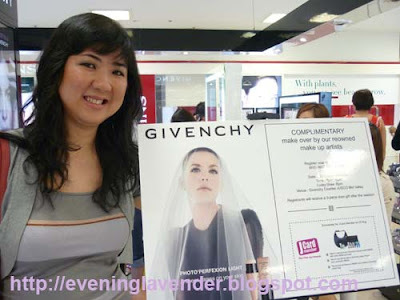 I was invited to the Givenchy makeover recently. Chervon of Givenchy extended the invitation to Jess and Jess has kindly extended the invitation to a few lucky bloggers. Thanks Jess! 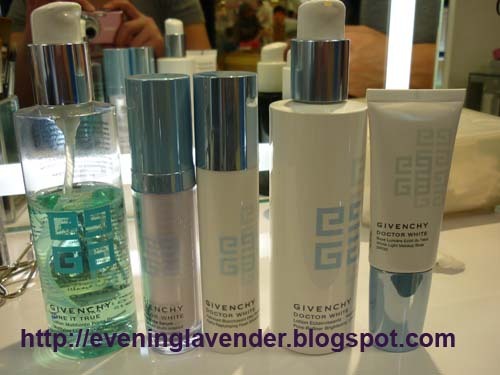 I have never tried Givenchy products before and know very little about their product. 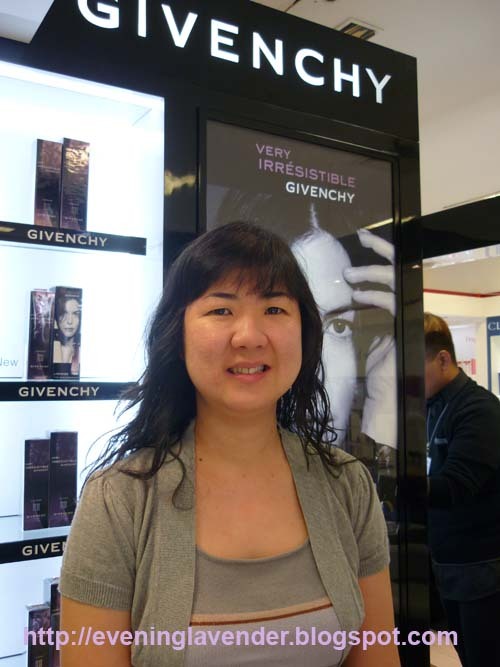 After using the skincare shown below to prep my skin, Mr Bong, the makeup artist put some makeup base followed by Givenchy Photo Perfexion Light SPF 10 liquid foundation. The texture of the Givenchy Photo Perfexion Light SPF 10 liquid foundation is not thick and provides medium coverage. The color used on me was no 6. Mr Bong is a skillful makeup artist and immediately knew what technique to use for my monolid. He started by applying kohl pencil and smudge the color out followed by applying taupe & brown eye shadow. The result was a more defined eye albeit still small. Overall, I am pleased with the makeover. The one thing that intrigued me about Givenchy products is that a single color eyeshadow comes in 4 different textures in one. The blushers and loose powder also have the same concept. 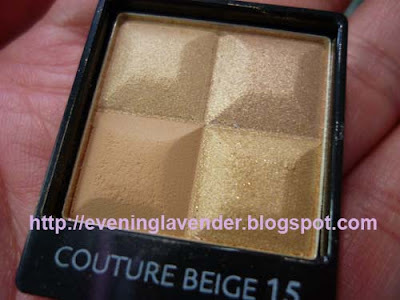 Givenchy eye shadow has 4 different textures in one color. 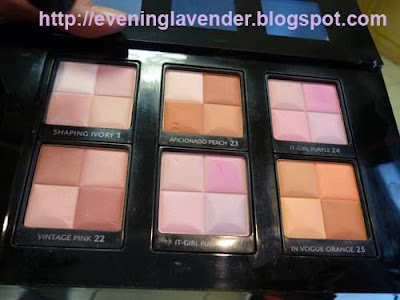 The blushes are lovely with 4 tones in one, lovely ya? Overall, I like the texture of Givenchy products. Unfortunately, they don't last on my oily skin. After about 1 hour, my skin started to oil up. the foundation also oxidized very fast making me looked tanned. The eye shadow also creased on me after 2 hours as I have oily lid. I usually used Urban Decay Primer Potion (UDPP) to prep my eyelid before applying eye shadow. I guess my eye can't live without UDPP my HG shadow base. As for the Givenchy Photo Perfexion Light SPF 10 liquid foundation, I actually liked the texture and light weight, non-cakey texture. It gives a healthy glow in the picture. Unfortunately I suspect it is not designed for oily skin. My skinned turned super oily after 1 hour or so. I believe this foundation will suit those with dry or normal skin as it will make the skin glowy. Can you see that my face starts to oil up? I don't fancy oily face though. I would like to thank Givenchy for the lovely makeover. 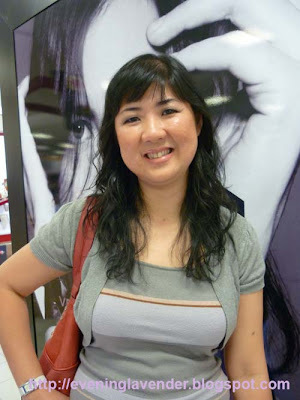 This is one of the makeovers that I am pleased with albeit the "oily" result. Maybe they have oil control foundation and the makeup artist did not pick that for me. 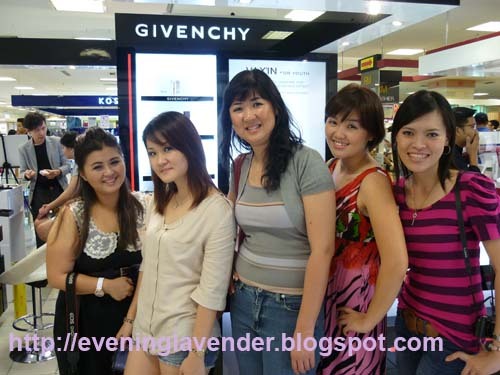 For those of you who have not tried Givenchy products, do drop by at the nearest counter to check them out.